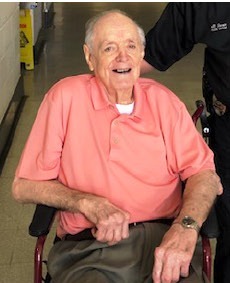 Obituary for Curtis Hoover Smith | Sullivan's Highland Funeral Service & Crematory, Inc.
Curtis Hoover Smith, 90, of Fayetteville, NC passed away on March 27, 2019 at Cape Fear Valley Medical Center. He was born on March 8, 1929 in Cumberland County, NC to the late John C. and Lula Smith. He was a U.S. Army Veteran and a former military police officer at Fort Rucker in Alabama. Curtis worked with the Fayetteville City Police department for over 13 years. 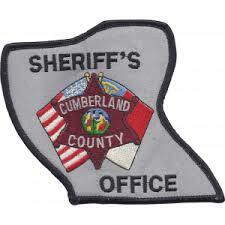 He retired with Cumberland County Sheriffs Department with over 17 years of service. He was preceded in death by his wife Alrita Faircloth Smith. Surviving Curtis to carry on his memories are one daughter Carla Smith Woolard of Fayetteville, NC; one grandson Jeffrey Curtis Woolard of Fayetteville, NC; one sister-in-law Hilda F. Utley and husband Phil, of Eastover, NC; a nephew Christopher Utley, and wife Kimberly of Fayetteville, NC; and several other nieces, nephews and friends. The family will receive friends from 5:00pm until 7:00pm on Friday, March 29, 2019 at Sullivan’s Highland Funeral Service. A graveside service will be held at 11:00 a.m. Saturday, March 30, 2019 at Suggs Grove Missionary Baptist Church Cemetery. In lieu of flowers the family requests that memorial contributions be made to Cumberland County Animal Control 4704 Corporation Dr, Fayetteville, NC 28306 or to Fayetteville Animal Protection Society 3927 Bragg Blvd, Fayetteville, NC 28303.